If you are in London this December, you would be in time for the FA Cup 2014-2015 Season fixtures that begin on the 5th of December. As well asthe World Cup, there is no other football competition as eagerly anticipated and followed in the UK and the world. Football lovers from all over the world congregate in London to be a part of the fabulous atmosphere and excitement that exists here. If you are a football fan and plan to drop into London, you would need to book your hotel stay in advance. With a heavy influx of tourists to London it could be a problem to find suitable accommodation in a central location like the Grand Royale London Hotel. The benefit of staying at a hotel in Bayswater is that it offers excellent connectivity to Wembley Stadium. Traffic jams could pose a serious problem so you need to ensure that you avoid the gridlock. Another benefit of staying at a hotel in Bayswater is you can catch the Tube from Bayswater Tube Station, which will take you straight to Wembley Stadium. After all you would not want to miss all the action because of a traffic jam, right? Let us take a brief look at the game’s history in the country. The history of football in England is long and mysterious with sources suggesting that it was first introduced in the country as far back as 1170, where there is an account of youthsplaying a ‘game of ball’ in the fields. Its actual origins are obscure with references in the 2ndand 3rdcentury BC in China. It was known as Tsu’ Chu, an exercise which involved the use of a leather ball that was stuffed with hair and feathers. It was to be shot into a small net that was attached to bamboo canes, while the players had to protect themselves from attacks by opponents. Even Greek and Egyptian mythologies have variations of the sport documented in their history. In contrast to China’s version, the English version made use of a ball of an inflated animal bladder. It began to grow so popular the country that around the 1300s, Edward II the monarch at the time felt that it was serving as a distraction as most citizens were neglecting archery. He was preparing to go into battle with the Scots and this posed a problem, as a consequence of which he enforced a ban on the game. This was just one of the many that were to follow suit by future rulers such as Henry IV, Edward III and Oliver Cromwell. Despite all the hurdles it grew in popularity, especially between the working classes who found in it a way to overcome their dull and dreary lives and also mix with people who came from similar backgrounds. The problem was the games were not really played with a sportsman’s spirit as there were no real rules or referees and violent confrontations were the norm. Players could punch or beat opponents and at times resolve to even damage personal property and businesses. As there was no fixed number of players participating in a game, exceptionally high volumes of players would often lead to excessive violence.This resulted in the Highway Act being introduced in 1830, which imposed a fine on players who tried to play on highways. The first rules began to take shape when at a meeting in 1848 at Cambridge rules were drawn up for throw-ins, goal kicks and goalie rights etc. This gradually helped in the setting up of Football Clubs and Championships within and out of the country. The First match outside the European Continent was played by Englishmen who were working in Argentina in 1867.Although it was exclusively a male sport in the late 19th century women started to play with the first ladies team being from Preston. Despite a few initial problems and issues, the English Women’s FA was formed with more female teams now playing domestically as well as abroad. The first Official Football League was formed in 1888 which was the English Football League. At that time there were 12 clubs with all being in the Midlands and North England. The honour of being the first title holders of the League Championship goes to the team from Preston North End. With major sponsorship from Sky TV (earlier BSkyB) in 1992 top teams left to form their separate FA Premier League. Now there are 3 divisions in the Official Football League which are the Championship, Division 1 and Division 2. As a result there are a total of 4 professional football leagues in the country. The FA Cup (initially known as the Challenge Cup) first final was held in 1872 in front of a crowd of 2000 onlookers. It was between the Royal Engineers and Wanderers with the latter team coming out winners with a 1-Nil score, as only 10 men of Royal Engineers were on the field. This was because of not being able to have a substitute come and play (at that time) instead of an injured player. The Competition was the creation of Mr. C. W. Alcock who wanted a competition for the Football Association,which became known as the FA Cup. You could choose to buy your tickets either online or at the venue itself, whichever option you are comfortable with. You can be sure that you will a thrilling holiday in London this football season. 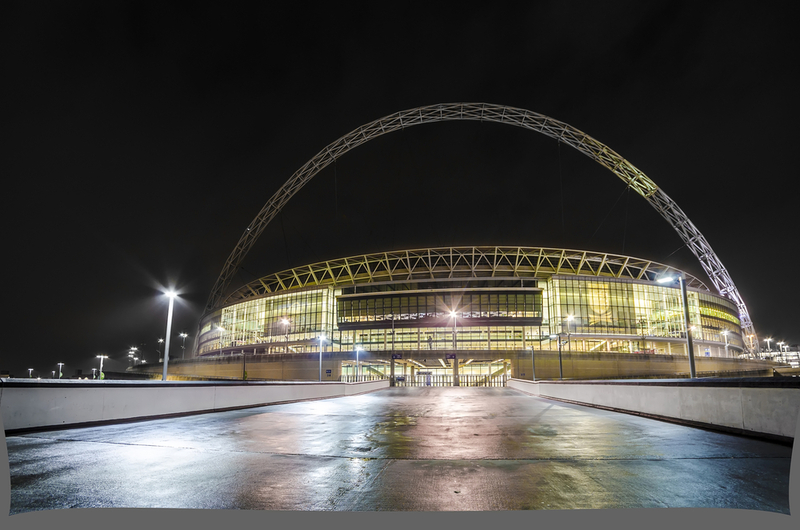 Share the post "Come and be a part of the football season at Wembley this Christmas"
Previous articleTravel tips… for those on a budget!